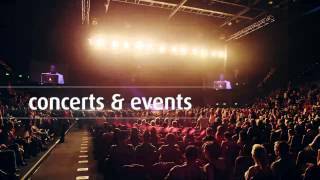 The Gold Coast Convention and Exhibition Centre (GCCEC) offers the ultimate event experience. Conveniently located just 500 metres from the white sands of Broadbeach and walking distance from more than 3,000 accommodation options, GCCEC is Australia's largest regional convention centre, catering for anywhere between 10 and 6,000 people. The AUD167 million venue has rightly earned its place as an industry leader and welcomed some of the world's biggest names over the years; with Mariah Carey, Kings of Leon, Rihanna, Janet Jackson, Powderfinger, Pink, The Madden Brothers, Carl Barron and Billy Connolly just to name a few. Exclusive in size and purpose-designed, the Centre boasts 6,345 square metres of exhibition space divisible into four halls, 22 meeting rooms and 10,000 square metres of total exhibition space across the ground floor. GCCEC sets a benchmark in user technology, IT infrastructure and audio visual capacity and offers complete wireless technology that allows guests to log on to internet or email from wherever they are in the venue. An award-winning team offer on-site catering, in-house audio-visual services, marketing and public relations support and professional event management for conferences and meetings, national and international incentives, banquets, exhibitions, concerts, sporting and special events.